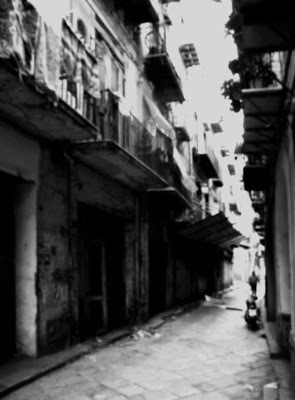 These pictures were made in Palermo - centro storico, in the street markets and the famous Ballaro. 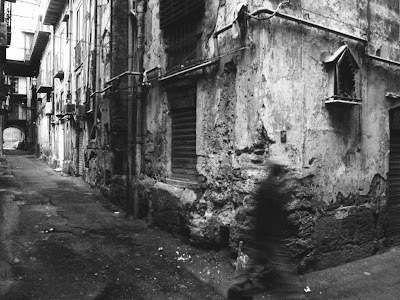 Giancarlo: si può dire soprattutto che non sono nato fotografo e mai forse lo diventerò veramente....ma mi piace. You may say, above all, that I wasn't born to be photographer and that I'd never become one, but I like it. I'm a photographer with passion and by passion. 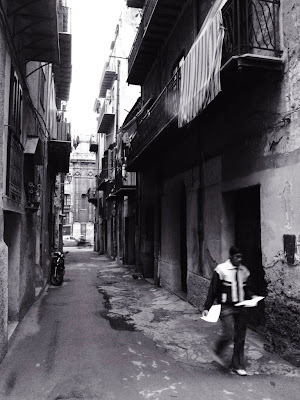 I am not interested in focusing on a defined style, even if I am interested in reading from photograps. Clearly it can't always succeed. I am satisfied with a good technique, especially when I can't get into a concept I've presumed. Friday again! You'll have to check the site for today's Daily Print if you're not a subscriber. This lovely photograph is one of my mother's, taken with an old Brownie box camera. 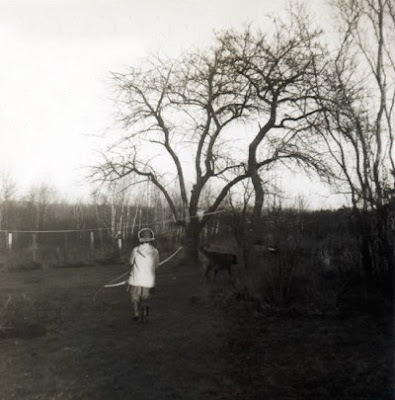 My sister and our dog going off into the orchard with a bow and some arrows -- those were the days . . .